We are starting the second week of BM#62 and I will be sharing some Chocolate Dishes. I know I repeat myself on how much chocolate is loved at home. However I decided not to make any cake or cookies and not even some western desserts. Instead when I was thinking about what sort of chocolate dish I should make, I thought some fusion will be interesting. I have already done some Chocolate fusion with Indian dishes. I remember I still had some more ideas on those lines. So decided a fusion will make it all better instead of the cakes overload! First in the series is the Chocolate Lassi. Lassis are my favorite curd based drink. I have made Mango Lassi, Regular Lassi, so one was pending with chocolate! Beat the curds along with sugar and syrup in a blender, till it turns foamy. Add the milk finally and pulse again before transferring to a serving glass. Drizzle on top with syrup and garnish with chocolate chips if you prefer. Wow! 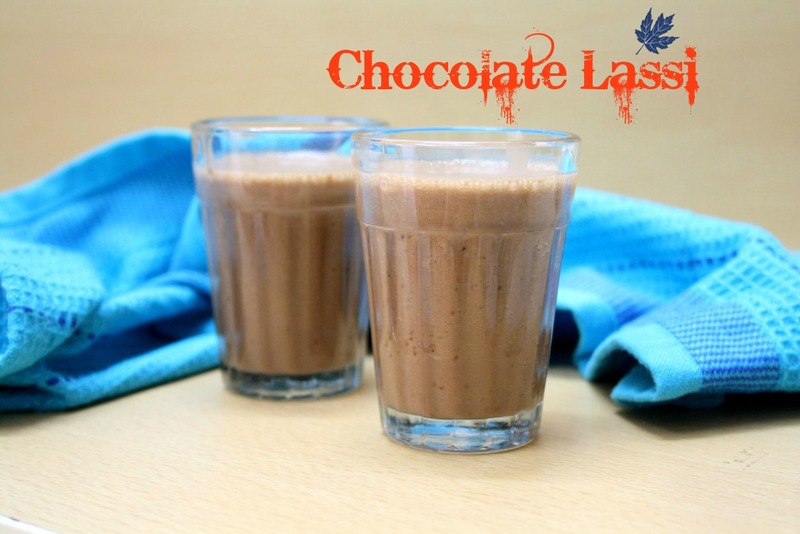 !Chocolate Lassi….can't wait to try it…. Interesting combo, looks delicious. Must give it a try. Valli, I would have never thought of combining these. But thinking about it why can't right? You always come up with great combos. Chocolate lassi…definitely out of the box thinking Valli! Its definitely out the ordinary. Its going to my to do list. No one can beat you in chocolate recipes. 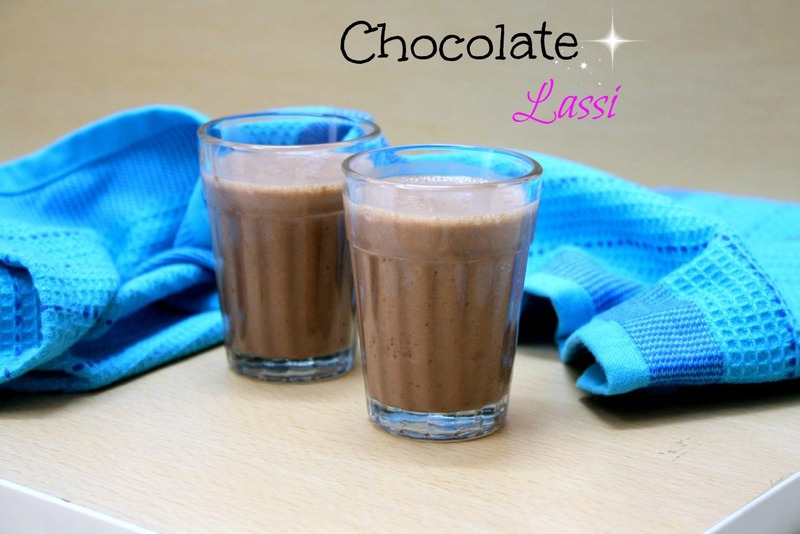 This lassi with choco syrup sounds yum..
My all time favourite lassi, just love it anytime. Chocolate lassi sounds so rich and decadent. Very interesting twist to a traditional Indian dish. Wow! That is an innovative one! I shall try it out with the kids and see if they like it!